Last step session. Alister and Gina. 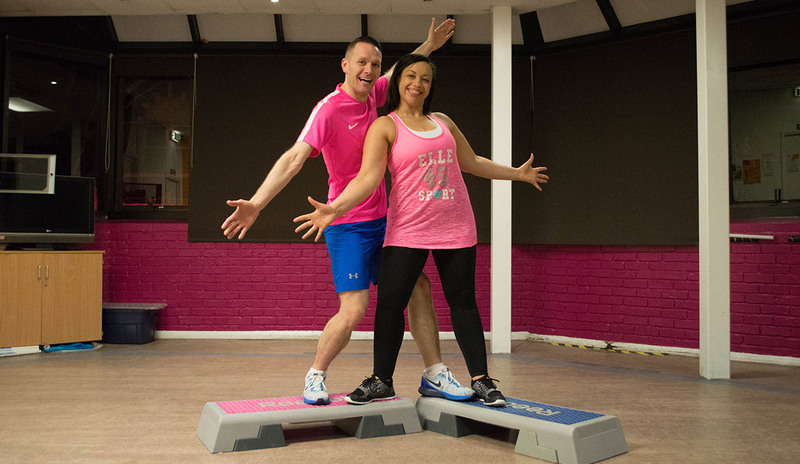 Meet Alistair McMeechan and Gina King, a dynamic duo taking the Step Aerobics world by storm. Since teaming up in 2015, Ali and Gina have proven to be a winning team, bringing their own flavour of Step Aerobics to the UK! For more information about our past events, please check out or Step to the Future – Bolton and Step to the Future – London posts. Please keep an eye out for more fantastic classes, offers and fitness news or contact us today! Step To The Future is our own unique step routine originally showcased at the International Fitness Showcase. The routine was so successful that we decided to create our own UK mini tour. We have released our debut CD to accompany Step To The Future. Our CD is available via the Pure Energy Website – Buy Step To The Future now!